How near is the Steam Train to Court Farm? A field separates the steam trains from Court Farm. This photograph is taken from Doniford Halt and clearly shows Court Farm to the left. The trains are seen from Bungalows 1, 2 and 3, and the sounds of the engines and steam whistles can be clearly heard from each. Are there any restrictions on the breed or size of dog I can bring? Well-behaved dogs are accepted but they must be kept on a lead whilst in the grounds of Court Farm, and ‘pooper-scoopers’ should be used. We cannot accept large dogs or breeds such as pit bull that require muzzles. The nearby beach is accessible for dog walkers all year round at any time. I do not drive. How can I get to Court Farm? Trains and coaches run regular services to Taunton. There is a local bus service, which stops right outside Court Farm. However if this causes a problem, we can supply you with the names of some local taxi firms which can pick you up from Taunton, providing this has been arranged in advance. The bus service is currently undergoing a re-structure so please ring in advance if you are going to use this service. I have two grandchildren and I would like to bring them with me. Do you accommodate children? Yes. 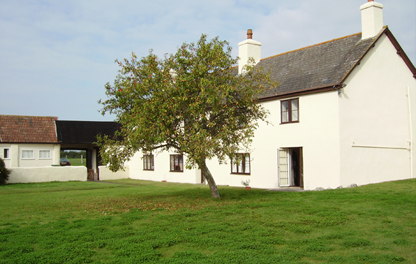 Children are very welcome to stay at Court Farm. At present there are grassy play areas for children, but there are plenty of other child-friendly attractions in the area. Children should not be allowed to play unsupervised in the grounds. A member of my family has difficulty in walking far. Can you accommodate them? All the accommodation is on the ground floor, accessed via one step. Also, bungalow 3 has a shallower step giving easy access to people with walking difficulties. A car can be driven into the courtyard for dropping off and picking up. For wheelchair users, entrance door widths are 79 centimetres and internal door widths are 66 centimetres. I am staying for two weeks. Can the sheets be changed after the first week? It is possible to have a full set of linen provided for each week of your stay. However, this will need to be agreed in advance and we will have to make a small charge for each additional set of linen provided. I am not driving. What places of interest are within walking distance? Doniford beach is 5 minutes walk away. 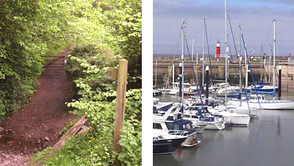 We have walked into Watchet using the road and also across the beach when the tide is out. If you are walking your dog, the beach is accessible all year round at any time. Williton is within walking distance by road and there is a designated footpath to Williton Station on the West Somerset Railway. 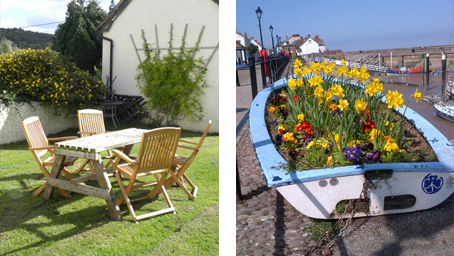 Williton is a pretty town with shops and eating establishments. 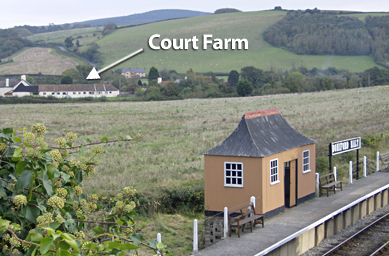 The West Somerset railway stops at Doniford Halt, which can be seen from Court Farm. The train can take you to Watchet and Minehead or the other way to Bishops Lydeard where a bus is available to continue onto Taunton. There are various smaller stations on the route to Bishops Lydeard. A timetable for the West Somerset railway is available in Court Farm reception. For those who enjoy a good walk, the Quantock Hills are on our doorstep and make a good day out with a hearty packed lunch.